Thank you all for joining us in Waldthausen! Over the past two decades, neutrino physics has become one of the centerpieces of particle physics programs worldwide. 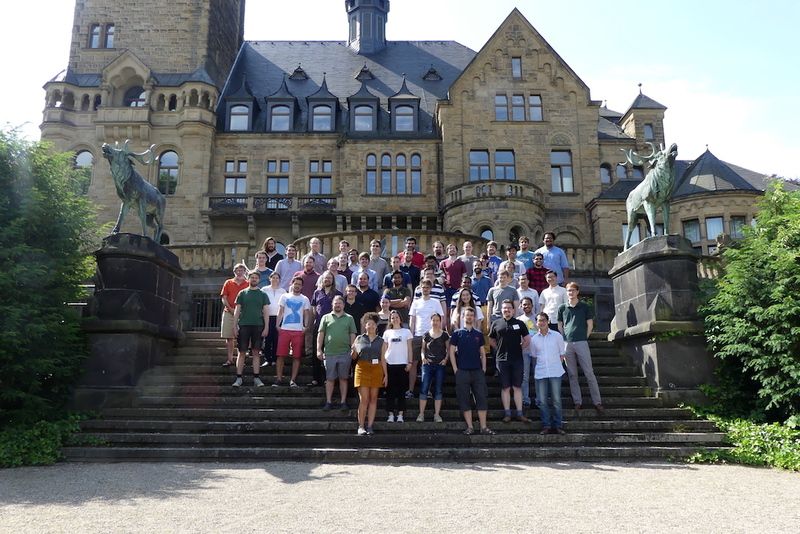 In view of this, the International Neutrino Summer School has been established, and is now in its 11th edition. Addressed to PhD students and young postdocs, it will bring together the next generation of neutrino physicists and will offer them a broad program of lectures and other scientific activities, led by some of the best teachers and researchers in the field. The intense two-week course will consist of lectures on neutrino oscillations, solar, reactor, atmospheric, and accelerator neutrinos, neutrino astrophysics and cosmology, detector technology, neutrino mass measurements, statistics, and applied neutrino physics, among others. Students will apply their knowledge in group projects culminating in short presentations, and they will have the opportunity to present their own research to their peers. The rich physics program will be complemented by a host of social activities. The 11th INSS 2018 will be hosted at a castle near Mainz, Schloss Waldthausen, from May 21 to June 1, 2018 - right before the Neutrino 2018 Conference in Heidelberg. We expect to have a limited number of scholarships available, depending on available funding, for qualified students in need of support. Applications are not open anymore!